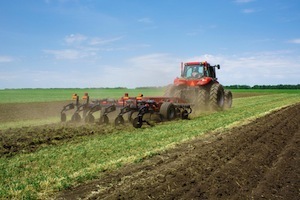 Farm Equipment Accidents | Nashville Injury Lawyers The Law Offices of John Day, P.C. Farming is a dangerous occupation. In fact, according to the Centers for Disease Control and Prevention, agriculture ranks among the most hazardous industries. In 2010, 476 farmers and farm workers died from a work-related injury for a fatality rate of 26.1 deaths per 100,000 workers. Tragically, the injury rate is much higher. Every day, approximately 243 farm workers suffer a lost-time injury and five percent of this number will sustain a permanent impairment. At particular risk are youths under 20 years of age who either reside or work on the farm. According to the most recent data, approximately 16,000 youths are injured on farms each year and another 113 are killed. If you or a loved one has been the victim of a farm equipment accident, we can help you get the compensatory damages and, if appropriate, the punitive damages you deserve. We have recovered more than $100 million dollars for our satisfied clients and we can help you too. Contact us online or call us at 615-742-4880 or toll-free at 866.812.8787 for a free, no-obligation consultation. Our experienced attorneys handle all farm equipment accident cases on a contingency basis so we only get paid if we recover money for you.